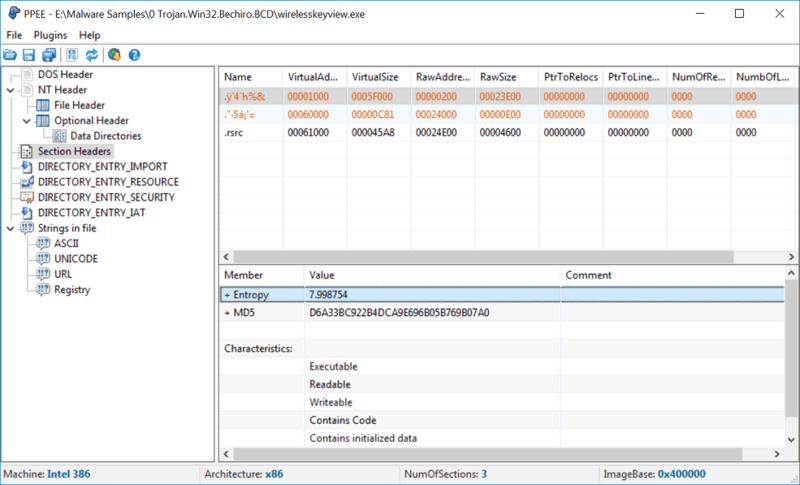 PPEE (Professional PE file Explorer) allows analysis of malformed and crafted PE files, making it handy for reverse-engineering, malware researchers and more. The program includes PE Export, Import, Resource, Exception, Certificate (relies on Windows API), Base Relocation, Debug, TLS, Load Config, Bound Import, IAT, Delay Import and CLR. The program includes a HEX editor and supports Virustotal and OPSWAT's Metadefender query reports. How to extract: Download the ZIP package and extract to a folder of your choice. Delete Plugin folder. Launch PPEE.exe. Resolve ordinal to name in imported APIs. SHA256 and ImpHash in FileInfo plugin. .ini file converted to UTF. Thanks for the new cure! What other kind of maladies do you cure? Or only software ones? Severe allergy to PPee v1.11 "New Version Auto-check" ? Apply relief exclusively with Unicode-aware editor ! Hi everybody. Thanks for your comments and supports. If you have encountered any bug, please let me know using PM or my email address. And pestudio does not crash doing this. 1) Have Core Temp (v1.11) currently running in the background. 2) Start PPEE (v1.11) and drag "Core Temp.exe" onto PPEE. I missed that, It was Core Temp if I remember correctly and happened while it was running. Just tried it now, drag Core Temp 1.11 onto PPEE and PPEE crashes. PPEE is now at v1.11, and it seems it auto-checks for updated at every startup with no way to turn that check off, I hope I'm just missing that option somewhere... guess I'll be sticking with 1.10 a little while longer. PPEE I find crashes a lot where as pestudio does not, anyone else notice this?